I thought I’d try something different for this review and as a result it may not be the review you’re looking for. I usually try not to write too personally but this review wasn’t the one I intended to write after purchasing this album, but it seems fitting. 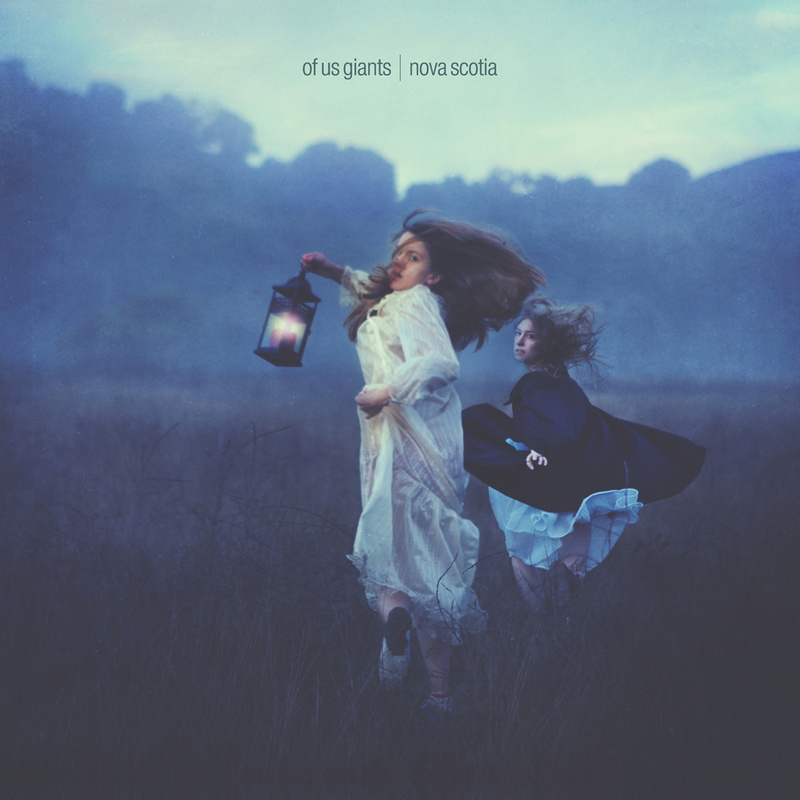 If you’re here looking for an honest opinion on Nova Scotia then I can confidently tell you that Of Us Giants’ debut is one of the best releases of 2014 so far. Gorgeous and expansive soundscapes accompany soaring vocals and as whole the record is nothing short of majestic. It would benefit your music library immensely, and I wholly recommend that you stream / listen to it here because there’s a good chance you’d be missing out if you didn’t. From here things might get a little weird. Sundays in my house normally revolve around one of two things, and it’s either a day I spend with family or I day I spend watching football in bed. Considering this weekends fixtures it was the former, and I spent it in a coastal town called Blackpool with my parents and brother. Chances are you won’t be familiar with it, but it used to be England’s seaside pride and joy back when the beach was a key part of the British summer. It’s a place I used to visit a lot as a child, when I still was entertained by circuses and I spent my money on Pokemon cards and arcade machines instead of records and beer. Whenever I visit now I spend a lot of my time there wrapped up in my iPod and revelling in nostalgia, which is partly what I did today. To quote Being As An Ocean, the sea always seems to put me at ease, but today saw a change in the tide and it brought about a change in my perceptions of it. Instead of the moderate calm that normally lies before the English coast I was greeted by crashing waves and rising foam as a result of the winds that normally pick up during Winter. If you’re reading this from the US you might be inclined to laugh considering the snow that’s swept across parts of the country in recent weeks but for a brisk February day over here the sea was rough, rougher than I’ve probably ever seen it. I mention all of this because I listened to Nova Scotia a few times as we walked along the seafront and it’s rare for an album to match a scenario as well. As I watched the waves I listened, and in doing so found a lot of the seas energy reflected in Of Us Giants’ debut full-length. It’s a strange comparison, I understand that, and it’s strange for me to experience something in that way but when I do I feel compelled to document it, or at least try to understand it. The sea is versatile – it can engulf an entire walkway and then recede immediately. It changes as a result of the environment around it, dictated by the circumstances that affect it. Of Us Giants pour everything into their music, sculpting it in a way that makes it dynamic and absorbing. Nova Scotia is a huge album which frequently offers up large and catchy chunks of indie rock merged with heavier instrumentals. Occasionally it sits back and swells before rushing forward to soak an audience in sound, as it does on the excellent title track. ‘Nova Scotia’ begins subtle and delicate as vocalist Dustin Andrews and guest Lindsey Pavao lament over echoing electric guitars before flipping the track on its head midway through, abandoning a sombre sound in favour of a mammoth few minutes as Andrews and bassist Jonathan Jennings yell out ‘Don’t you ever let me go’ over pounding instrumentals reminiscent of Russian Circles. It makes for a memorable closer that’s also one of the records better tracks, capturing Of Us Giant as large as their namesake. There were other times today during which the tide abated and the water drew away from the land enough for brief glimpses of golden sand, and these equally golden respites come in the form of ‘Stone Hands’ and the Have Mercy-ish ‘Sycamore Tomb’, the former of which is probably the records most affecting track, merging haunting instrumentals with bleak and reflective lyrics. There’s a solid range of sounds on Nova Scotia, a lot of which capture isolation and convey it brilliantly. Tracks like these two slow things down and mix them up, adding the depth that comes from being stranded so far from shore. Following track ‘Machine Heart’ is an obvious contrast, delivering catchy and upbeat instrumentals once it really bursts into life. It might not be the most memorable track but it churns with an energy that comes from the meatier riffs that Andrews plays underneath singing ‘I’m awfully crooked here’. Nova Scotia is gloriously expansive and with each listen it opens itself up a little more, allowing more to seep through the levee each time. 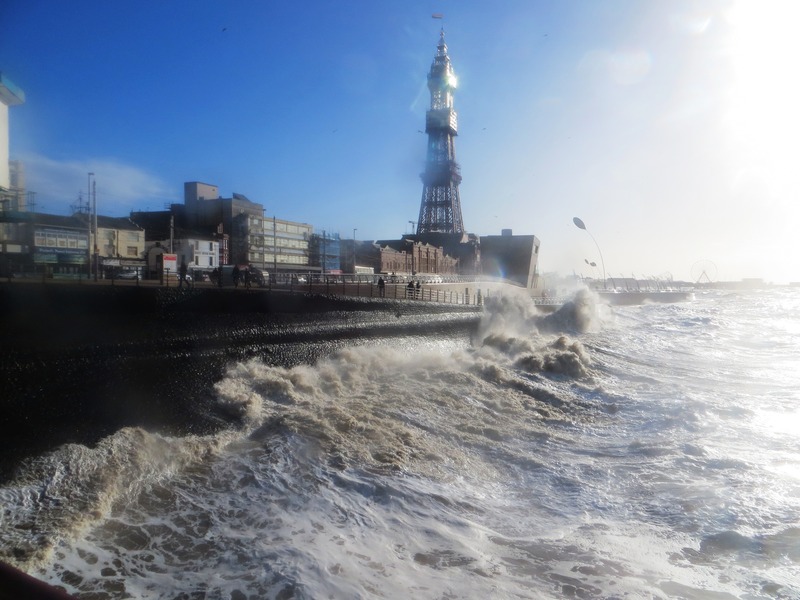 As the day progressed we reached the pier that Blackpool is partly famous for, and at this point the sea was more aggressive, forming a whirlpool around the pier’s foundations and slamming against the seawall with a brash ferocity. Masses of water erupted upwards and sprayed those leaning for a better picture, and fourth track ‘Take It Home‘ pulsates with a similar sort of angry passion – especially towards the end as each aspect of the bands music comes together to form a towering wall of sound. The heavier moments on Nova Scotia are explosive, but the albums more indie-infused moments are equally refreshing as ‘Iron Boat’ bobs along on calmer seas, once again enlisting the delightful Lindsey Pavao to bring a little more melody to the proceedings. It’s deliciously upbeat, as quirky drums provide a toe-tapping backbone alongside singsong climbing vocals, and it’s one of the many standout tracks on Of Us Giants’ emphatic debut. I suppose what I’m trying to get at is that for me today the sea captured a bunch of emotions and moods and in turn I felt those moods in Nova Scotia, as odd as that seems. I’ll remember today, and I’ll remember the sea, and I’ll remember the time I spent with my family but what I’ll remember most of all will probably be Nova Scotia, and in my own experience music that serves as an accompaniment to a memory is often better than music in its own right. Nova Scotia is a stunning album and given a chance it can soundtrack some of your own memories, because it’s a record that never really detracts from its surroundings but instead complements them brilliantly. In retrospect these musings sounded much more profound in my head but in reality I get that this sounds a little muddled and bizarre, and for that I can only apologise. If you’ve read this far then I appreciate it, especially if you made it without laughing.